All Vienna homes currently listed for sale in Vienna as of 04/25/2019 are shown below. You can change the search criteria at any time by pressing the 'Change Search' button below. If you have any questions or you would like more information about any Vienna homes for sale or other Vienna real estate, please contact us and one of our knowledgeable Vienna REALTORS® would be pleased to assist you. "This gorgeous estate home brings the resort living to your door. Starting from the imported fountains in the front and the back of the home, to the pool ending with a waterfall, to the heated patio and pool house. Stunning and extraordinary!!!!!" "Gorgeous custom estate with all Brick & precast exterior only provides glimpse of interior elegance. Dramatic 2 story foyer shows of exquisite detail of plaster moldings through-out all levels. The main level offers master suite, private study, breakfast rm. Lower level boasts media, wine, billiards, pool changing room, exercise rm & 2nd suite, covered patio overlooking pool & spa!" "PRIVACY & PRESTIGE-CUSTOM BUILT ESTATE ON 6AC W. 16,000+ SQFT OF LUXURY. SHED ALL YOUR CARES & COME HOME TO SECLUDED GEM* EXQUISITE FEATURES: CHEFS KIT W. LG. ISLAND, 2ND FULL KIT, OWNERS SUITE W. PRIV BALC, LAVISH MBA, IN-LAW SUITE W. ELEVATOR, MAHOGANY OFFICE & LIBRARY. PRIVATE BA FOR EA BR. IN-GRD POOL/SPA, OUTDOOR KIT. 4-CAR HEATED GAR. CLOSE TO DC/TYSONS/DULLES. YOUR PRIVATE RETREAT*SEE TOUR"
"*4 LOTS ALL TOGETHER!This land was purchased in 1915 by Samuel Millard whose family owned and operated the Colvin Run Mill from 1883-1934, This property is the last portion of his original 40-acre farm.Here lies a remarkable tract of land reminiscent of Tysons Corners in the 1940's! A lovely period home consisting of masonry and stucco. There is a small cottage guest home also conveying with the house. The 7acre plus site consists of 3 lots ranging from 1 1/2 to 2 1/2 acres. These lots are grandfathered in as they were approved years ago. the utilities easements are in place and soils work for septic field are favorable.Langley High School is highly rated and Dulles Airport is only 15 minutes away. Tysons Corner is 10 minutes away on Rt 7.THE SUBJECT PROPERTIES (HOUSE AND LOTS) SHALL REMAIN FOR SALE UNTIL MAY 5, 2019, SELLERS WILL REVIEW ALL AND ANY OFFERS ON MAY 5, 2019, CONTRACT CONTAINING THE FEWEST CONTINGENCIES SHALL WARRANT THE MOST CONSIDERATION. IT IS SUGGESTED THAT DURING THE 90 DAY PERIOD OF MARKETING, ADEQUATE TIME HAS BEEN AFFORDED FOR PROSPECTS TO PERFORM THEIR DUE DILIGENCE RESEARCH WITH REGARDS TO DEVELOPMENTAL DESIRES! ALSO FOR SALE AS LAND!" 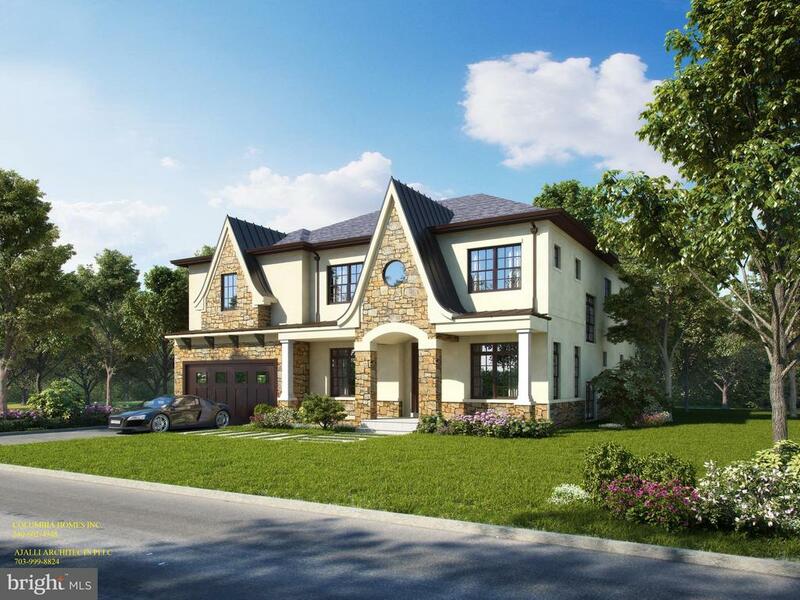 "Basheer & Edgemore customized home in Maymont community. Architectural details, hardwood floors, plantation shutters, 10' ceilings & elevator on main. Formal LR w/ gas fireplace & DR flank foyer. 3-level side conservancy addition, library w/ built-in cabinetry, FR connecting to keeping room w/ 2-sided fireplace also on main. Gourmet kitchen offers Wolfe duel fuel 6-burner range, wall ovens, built in SubZero refrigerator & super freezer, wrap-around island/breakfast bar, breakfast nook & adjoin 3-level sunroom extension. Butler's pantry doubles as a wet bar w/ dishwasher & bev refrig. Mudroom, 2 half baths, breezeway & both garages complete this level. UL master suite w/ hardwood floors, tray ceiling, sitting room w/ 2-sided fireplace, coffee bar w/ bev refrig & two large walk-in closets. Master bath includes separate granite vanities, soaking tub & oversized dual head shower w/ glass door & tile accents. 4 additional bedrooms each w/ an ensuite or Jack & Jill baths & walk-in closet, laundry area completes this level. LL has large open rec room w/ media & gaming areas, 2-sided fireplace & wet bar w/ ice machine, bev refrig & dishwasher. A pre-wired media room, 2 large bedrooms & two full baths complete this level. The outside spaces include deck, flagstone patio, irrigation system & extensive landscaping. 4-car garage w/ ample parking & studio space above w/ a private entrance, wet bar & full bath. Special features include elevator, built in speakers, neutral decor & designer touches." 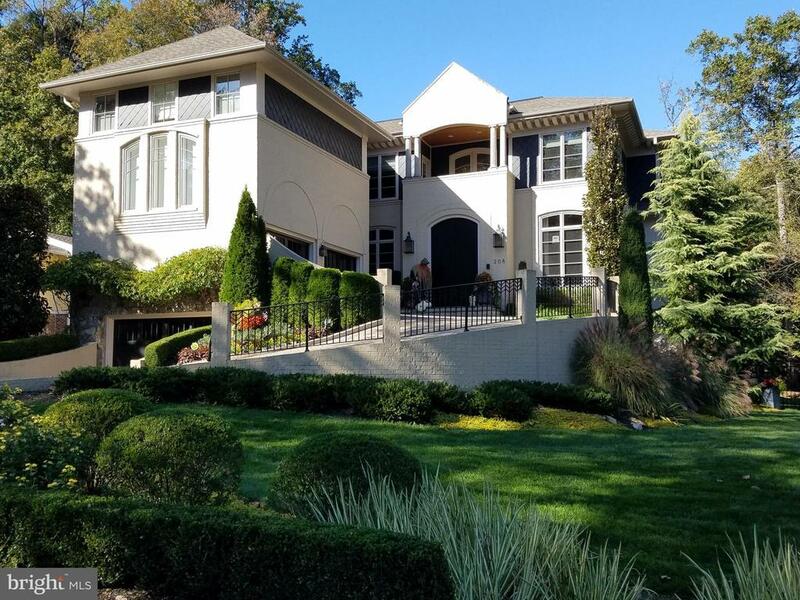 "This 1920's California architect Wallace Neff Inspired Custom Home is one of a kind! Main level boasts floor to ceiling windows with french doors between rooms creating an open flow and airy feel. Stunning details such as a grand entrance through a mahogany double door, radius walls, and a barrel vault ceiling. Main level office, family room, sitting room, living room, dining room, gourmet kitchen with eat in space and gas fireplace all flow with ease and elegance. These rooms are flexible for maximum functionality for any lifestyle. Three french doors leading onto a covered patio with wood burning fireplace offers the perfect setting for evenings all year round! Other main level features are a Butlers pantry, a spacious mudroom with closets and built in cubbies, a large walk in pantry and access to main level two car garage. Upper level master suite has large bedroom, gas fireplace, sitting area, wet bar with refrigerator and leather back splash and access to upper balcony. Master bath with large shower, separate tub, double vanities, sauna and wash room with bidet and toilet. Two closets. One walk in and one amazing two level dream closet! Suede lined walls, Swarovski crystal pull knobs and lighting with its own heating system and a full size three way mirror. Three other bedrooms with en suite baths, an office and bonus room to make another sitting area or for play/ game/study room. Lower level is a walk out. Bedroom with sitting area, walk in closet and full bath. Gas fireplace, full wet bar and pool table. Access from lower level third garage space. More of the basement is available to be built out. Plans available if desire. This home is full of high end features and detail and it is a must see!" "Absolutely everything has been done to satisfy the most discerning buyer. Highly prized location on the Tyson's side of the Town of Vienna. Stroll to Vienna shops and restaurants, just .3 miles to Clarity, Bonaroti or Anita's Mexican Restaurant. Shopping abounds at Tysons I, Tysons Galleria, Mozaic district and the downtown Vienna shops. 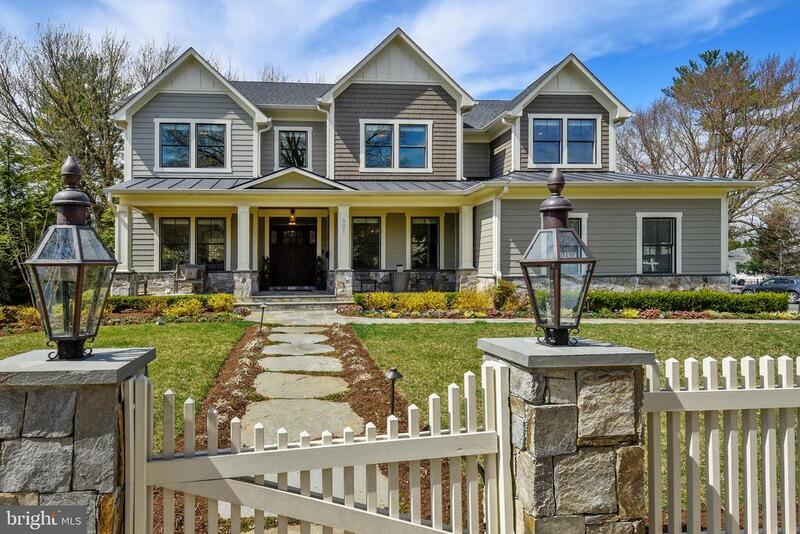 From the first glimpse of this home with it's gas lanterns, stone column and picket fencing, and front porch, you see this house is something special. This home offers 5 bedrooms on the upper level with all bedrooms having private access to a bath. The elegant master bedroom with reading lights, hardwood flooring and custom design rug, Tray ceiling with custom lighting. The master bath is a real treat starting with the heated floors! The separate shower and classic freestanding tub calls you to soak away your cares. Hot water is recirculated to the Owner's bath so no waiting for hot water! The main level has the perfect flow for either casual family gatherings or elegant entertaining. Excellent workmanship is evident in the moldings and carpentry details. The family will love the spacious mudroom with a shower station for the family pup. The kitchen is top of the line with two dishwashers, a separate freezer and refrigerator and a beverage refrigerator. Beautiful granite and classic back splash combine to make this kitchen as beautiful as it is functional. The butler's pantry with a beverage refrigerator makes entertaining a snap. Designer sconces in the dining room along with custom built ins and craftsman style wainscoting provide an enchanting dining experience. The open floor plan flows from the kitchen to the family room with its coffered ceiling and custom lighting. A warming gas fireplace with stone surround complete the room. From the kitchen, the deck and garden is in plain view. The composite deck is large enough to host a inviting seating arrangement and looks out over the lawn, garden, patio, stone seating w"
"Construction has begun. 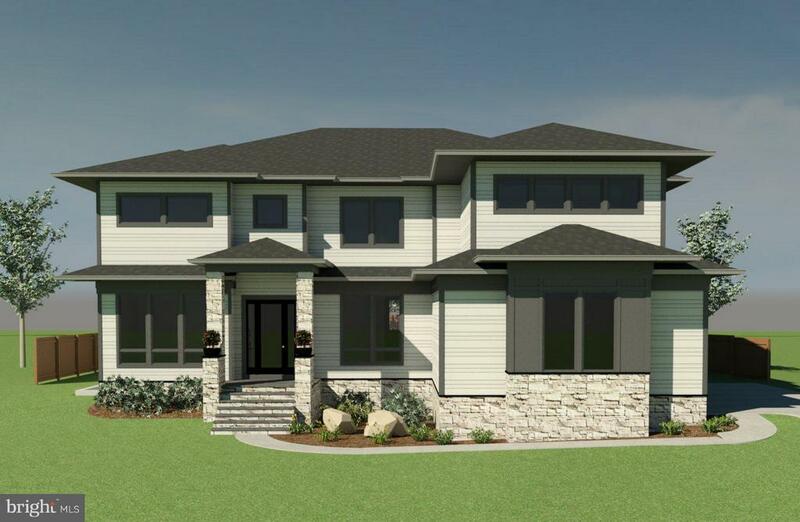 Masterfully crafted by Top Vienna Custom Home Builder: CLOUD IX HOMES. More than 7,400 finished SF on 4 thoughtfully finished levels. Situated on nearly ~ of an acre in the highly sought after Madison HS district of Vienna. 7 bedrooms & 7 bathrooms. Craftsmanship through material and design in every room. Walk to Vienna Pools. Still time to customize. Schedule your review consultation today." "Like NEW 5 BDR 6.5 BA 3-Car Garage Salt Water Pool on Premium Lot. Over 150K of Recent Updates! Custom High-End Finishes - Gourmet Kitchen opens to 2 Story FR, 2 Masters (MAIN & UL), Sun-filled LL w/ 2nd kitchen/bar, Custom Theater, huge rec room, & gym. Walk-out to private outdoor living.Award Winning, Luxury Community- Just 3 mile to Tysons/Mclean/Reston! OPEN BY APPOINTMENT"
"Gorgeous 10 year young custom home in the heart of Vienna. The elegant, spacious, well thought out floor plan was conceived for easy living & gracious entertaining. Almost 10,000 SQFT of luxuriously appointed living space on three levels with 7 bedrooms and 7.5 baths.Highly refined interior boasting rich, oversized crown molding, custom built-ins, tray and coffered ceilings, gleaming cherry hardwood floors and staircase with wrought iron railings, natural stone, marble and granite, whole house music system, and much more.Huge open gourmet kitchen with top-of-the-line appliances and cabinetry, granite countertops, porcelain tile flooring, adjacent fully equipped catering kitchen, butler's pantry, and sunny breakfast room.Spacious separate above-garage suite with kitchenette and living room offering fabulous independent living for in-laws or adult children. Main level bedroom or study with fireplace and custom built-ins.Fully finished walkout basement with a large rec room, fireplace, custom bar, sumptuous media room, bedroom, full bath, and exercise room.Large deck overlooks premium, professionally landscaped .62 acre lot with plenty of room to build a pool. Stone patio and in-ground sprinkler system.Walk to Cunningham Park elementary and Thoreau Middle School." "Design & Craftsmanship at its best! Carrmichael is offering another Spectacular Home in Vienna! Ready for immediate delivery! 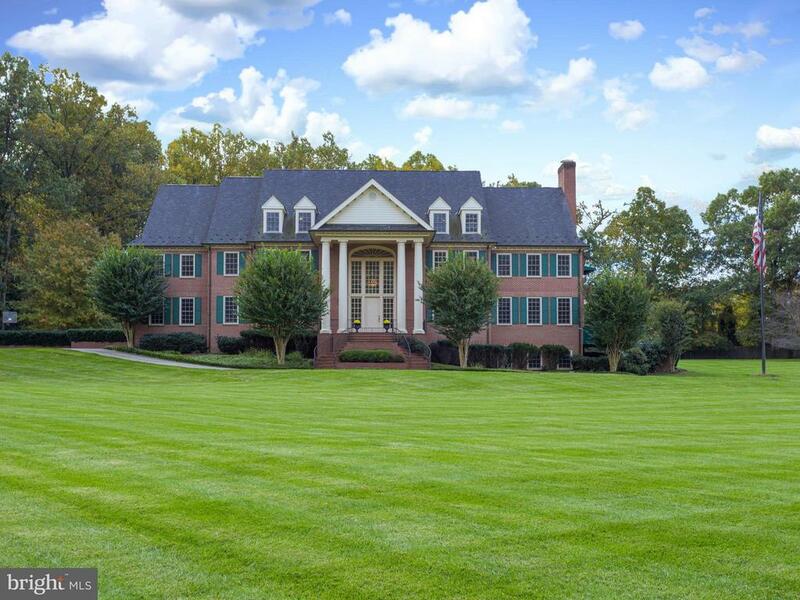 .75 acres, 6,848 sqft, 6bed 6.5bath & 3 stall side load garage. Designer kit w/ 42 subz & 48 Wolf range. Custom Cabinetry + Field-Built pantry & mudroom. Main level bedroom suite. 6 White Oak floors. Master w/ custom his/her closets & Lux bath. Fin bsmt w/ bar & walkout"
"Let me share a little-known secret about myself....my builder proudly refers to me as ~his best ever!~ I was built by White Oak Homes and distinctively designed by well known, award winning architect W. C. Ralston. With the goal of making my home as unique and special as the people living in it as the design inspiration, a Craftsman style work of art was created, featuring an unmatched open floor plan that offers light-filled rooms.Sited on 0.43 acres, with a topography that gives this home great curb appeal, it~s got the additional welcomed advantage of being conveniently located within just minutes of two metro stations, all major commuter routes and is just a short drive from the Mosaic District and Tysons Corner Mall. Imagine having easy access to The Kennedy Center or National Airport within 15 to 20 minutes from home!I~m made of Hardie Plank on the exterior and offer plenty of indoor parking space in my 3-car garage with insulated, fire rated doors and an asphalt driveway that provides additional space for guest parking. Quality exudes throughout the interior of my newly constructed home of 6,100 square feet on three finished levels, with double crown moulding, extra wide baseboards and high ceilings. I~m also a pet-friendly home with a dedicated space in the ceramic tiled mudroom where you~ll find a spa-like shower designed for care and grooming of our 4-legged friends. It~s plain to see that relentless attention to detail for every individual living in my home is my builder~s emblematic gold standard. Some of the fine materials and systems used in my home~s construction are my 4~ wide sand in place, solid natural Red Oak hardwood floors on the main and upper levels, hallways and master bedroom, energy efficient Anderson windows with high performance glass, retrofit recessed LED lighting throughout, two-zoned HVAC systems of gas forced air, a ventless gas fireplace and a wireless IQ panel security alarm system. Adjacent to my family room is a Gourmet~"
"#OutdoorOasis - Experience all that luxury living has to offer when you call this new construction Vienna contemporary beauty~..HOME! Expertly designed by award-winning architect James McDonald Architect Associates (2016, 2017 Home of the Year amongst others)and built with high craftsmanship construction, this home will truly take your breath away. Featuring 5BR/5.1BA and an incredible custom layout of 7,000 square feet, this serene residence is loaded with phenomenal features. Nestled on a beautiful two acre wooded lot with a running creek in the far rear of the lot - feel like you are miles away from it all. There is a gorgeous pool and guest house on the grounds making the outdoor space truly amazing. The exterior is very charming with a expertly paired compliment of hardie, cedar siding and stone. Inside, the warmth of beautiful design elements will happily greet you. The living room affords a delightful place to unwind after a long day. The stained in place hardwood flooring is impressive. Enjoy a relaxing family room that would be a great place for family game night or entertaining friends. The expansive kitchen is remarkable with a Viking professional appliance package and plenty of custom cabinetry. This home offers a main level master bedroom with luxurious master bathroom. There are two large walk in closets as well as a balcony off of the master. The main level also features a half bathroom which is perfect for guests. Upstairs, you will find three additional nicely sized bedrooms along with three full bathrooms. There is a wonderful common area/library space. Enjoy a convenient second level laundry room. This home also features an elevator shaft. The finished basement offers an exercise room, spa area, and third laundry room. There is an additional bedroom with full bathroom. The basement has a wet bar, two recreation areas and a half bath. This home has ben pre-wired for speakers and security cameras. As you make your way to the guest home, you will aga"
"TDI Homes is now offering a Brand New Modern Farmhouse delivering Summer 2019. 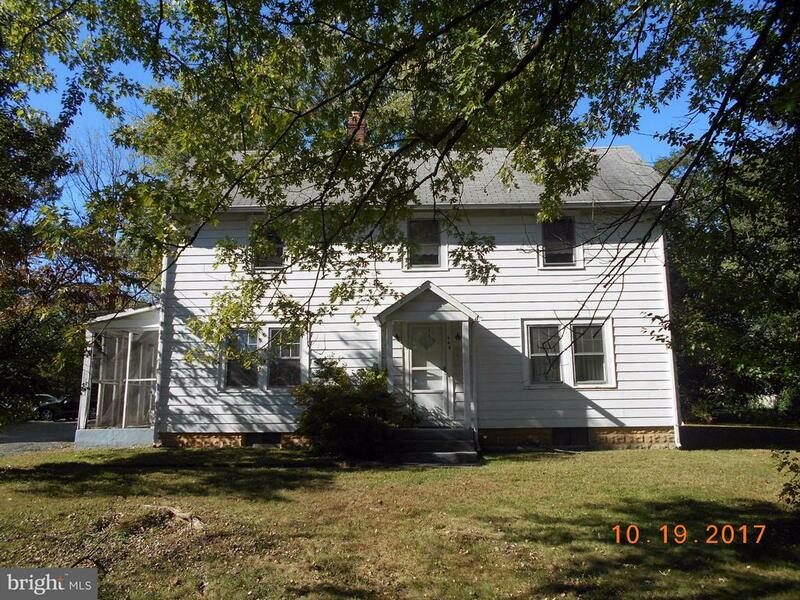 Situated nicely on over 1/3 acre. This home offers 7300sf of living space, upgraded and modern finishes, a main level bedroom, 3 car garage, gourmet kitchen, oversized master suite with dressing room, dual sided fireplace and soaking tub. Wet Bar in the lower level, high-end appliances, and built-ins." "Extraordinary Sekas built colonial with 9,000sqft of Perfection! Resting at the end of a cul-de-sac on almost a 1AC lot. Superb location! Gleaming hardwood floors throughout the main level. Room after room of luxury feat; formal dining room, living room with gas fireplace, library with built-ins, beautiful family room with wood fireplace off the redesigned gourmet kitchen with huge island & hub station. Upper level feat; redesigned master suite with grand bath (heated floors, Carerra Gold Marble & Rohl fixtures), & 2 huge walk-in closets. 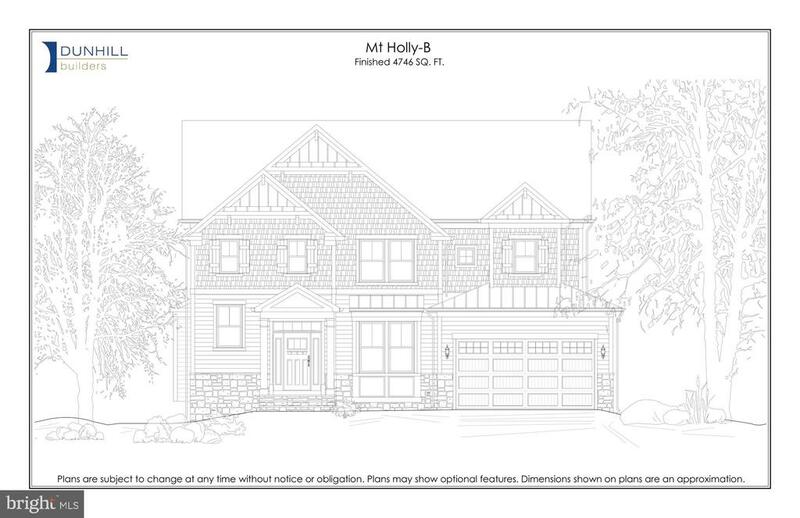 Huge newly added 5th bedroom above garage with bath (heated floors) & walk-in closet. Walk-up lower level with rec room, game room, exercise room, play room, bonus room, 5th full bath & hobby room - perfect for crafts, sewing, art projects, etc! Meticulous landscaping & huge large brick plaza & patio - perfect for outdoor dining." 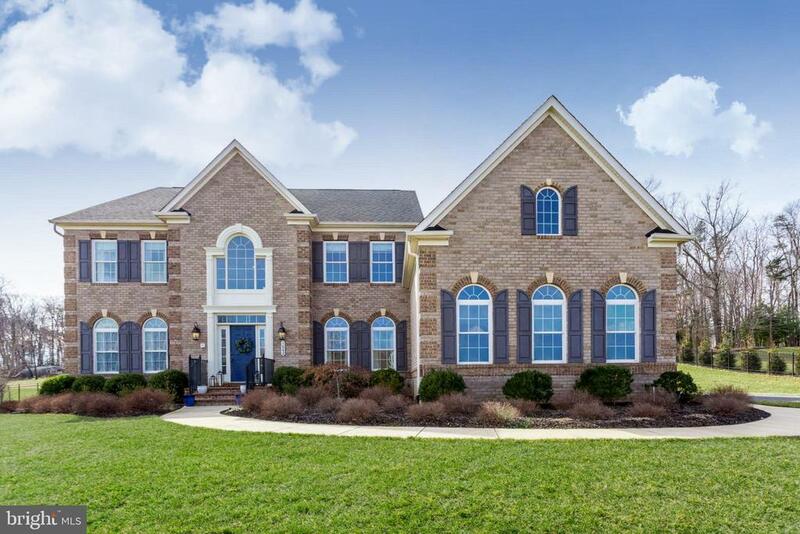 "This spectacular 6-bedroom, 5.5-bath 3-car garage ~Executive Collection~ Stanley Martin custom home with stone and brick front, open floor plan and generous circular driveway is situated on a rarely found 3/4-acre downtown Vienna lot near the W&OD trail. Walk to shops and restaurants, Giant Food, Whole Foods, Fresh Market, Community Center, Vienna Elementary School, and the public library. Easy access to major shopping centers and Tysons Corner. This freshly painted home offers almost 6,800 square feet of finished living space with new carpet throughout the upper and lower levels. Kevo 2nd Gen Smart Lock technology allows residents or authorized visitors secure keyless entry at the front door via mobile device Bluetooth signaling (Android or Apple iOS compatible). A welcoming stone portico leads into a bright two-story foyer - accentuated by an elegant curved upstairs balcony, a flared front staircase and vaulted front window. A formal dining room with tasteful decorator's tray ceiling and dramatic arched windows sits opposite the light-filled living room. On the main level 10-foot ceilings, layered crown molding and gorgeous hardwood floors highlight the open floor plan with sight lines across the kitchen and the spacious great room. Expansive Palladian arch windows, designer architectural arches and columns, a gas fireplace, custom cabinets/shelving and dedicated task lighting complete the great room. A refined library with built-ins and relaxing views of the backyard sits at the far end of the level. The upscale gourmet kitchen offers Energy Star stainless steel appliances, granite countertops, contrasting color cabinetry and a roomy walk-in pantry. The angled bi-level island provides ample space for counter-level eating while inviting family/friends to gather around the master chef. An adjacent butler's pantry with wet bar is perfect for entertaining. Triple French doors in the breakfast area overlook a stunning bi-level composite deck situated above a newly bui"
"MUST SEE AND YOU WOULD LOVE EVERY BIT OF IT. Ready to move-in during second week of June. Home under construction. The latest from Columbia Homes! Stunning luxury home with attention to detail, dramatic entry hall which has 6 bedrooms and 6.5 baths on a beautifully flat 1/3 of an acre. The main level has the open floor plan perfect flow for either casual family gatherings or elegant entertaining, 10' ceilings on main level 9' ceiling on 2nd floor and basement. Huge open gourmet kitchen with Thermador appliances (48 Steam Range, 48 Refrigerator), professional hood, custom cabinetry, a large center island offers comfortable seating for 5, butler pantry, Kohler Farmhouse sink, Bosch dishwasher, premium counter-tops.- Adjacent to the kitchen, access to large walk-in pantry and spacious mudroom with closets and built in cubbies access to main level two car garage. Main level bedroom suite with full bath in addition to powder room. All bedrooms with private access to a bath and walk-in closet and large laundry with cabinets and sink. Wide Red Oak Hardwood flooring throughout 1st and 2nd floor and 8' doors on main level. Exquisite trim work includes elegant crown molding, large base trims, custom built-ins, tray ceilings, all custom closets with birch plywood construction. Pella windows, security system, multimedia system (prewired for 5 zone speakers, two 5.1 surround system), surveillance system (4 cameras), Kohler fixtures, Porcelanosa tiles. Natural light filled basement with large recreation area, Wet Bar and Bedroom with Full Bath. Spacious marble Master bath with large shower with rain head and handheld with large size bench, free standing soaking tub, double vanities. Open Flex sitting area on 2nd floor for play/game/study area. From the kitchen, the deck and garden is in plain view. Trex Decking leading to spacious flat backyard with lawn is large enough to host a inviting seating arrangement. 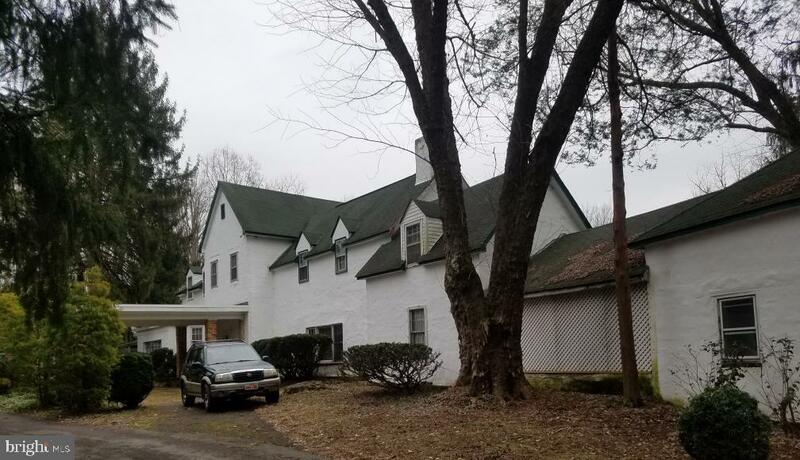 Highly prized location on the Tyson's side of the Town of Vienna in Wes"
"AMAZON IS ON THE WAY TO OUR AREA, NOW IS THE TIME TO BUY AND BUILD YOUR OWN! THE PERFECT PROPERTY IN THE PERFECT LOCATION. FIVE MINUTES TO THE METRO STATION AND MAJOR COMMUTER ROUTES, FIVE MINUTES TO THE CENTER OF TOWN, FIVE MINUTES TO SCHOOLS. ALMOST 1 ACRE FLAT LOT IS READY FOR YOU WITH NATURAL GAS, PUBLIC WATER AND SEWER ALREADY IN PLACE. THE VALUE IS IN THE LAND AND LOCATION. HOME AS-IS." "One of a kind center hall craftsman in the heart of Vienna, but tucked away on your own half acre w/ inground pool! Detached 3 car garage! Four finished levels have been meticulously maintained and upgraded* Hardwoods throughout * Gorgeous kitchen has brand new 8 burner Viking range, huge island, desk area and breakfast nook* Family room w/ stone fireplace* Main level office w/ built ins * Mud room w/ built ins * Walk in pantry* Butlers pantry * Master bedroom retreat with his and her walk in closets and fireplace (currently has gas line hooked up, but could be wood burning)* Theatre room w/ projector and screen * Every bedroom has private bathroom* Amazing freeform pool w/ waterfall feature in your private oasis of a backyard* Fully fenced back and side yards* Circular driveway for easy guest parking* Walk to everything the town has to offer including Vienna Elementary, community center, farmers market, W&OD trail, Maple Ave & Church St. shops and restaurants!" 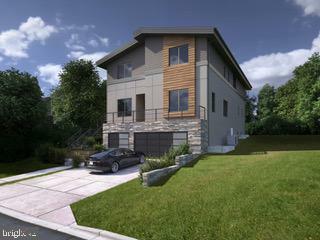 "The Orion Group LLC presents 107 Moore Ave SW Modern Luxury Living in the heart of the town of Vienna. Walk to everything. 5 Bedroom 7 Bath almost 6,000 square feet of contemporary design. State of the art living with Elevator to all 3 floors. 3 Car Garage! Luxurious Chefs Gourmet Kitchen with Quartz Countertops, 42 inch White Shaker Style Cabinets. Viking/Wolf/ Sub Zero Appliances, Butler~s pantry with separate walk-in pantry. Full in-law suite on first floor with ensuite bathroom plus a separate powder room. Separate dining room with wine closet and separate study. Main Level offers LaCantina Doors in the living room, creating large open spaces to complement the architectural style in all environments. Spacious Mud Room with Cubbies and custom Shelving. Beautiful Hardwood floors. Grand Master bedroom with balcony overlooking wonderful flat rear yard. All bedrooms up with full bath. Vienna Elementary. Madison HS. Walk to Town & Elem. A Commuters Dream! You will not find anything like this in Vienna. Get in now to make your selections. 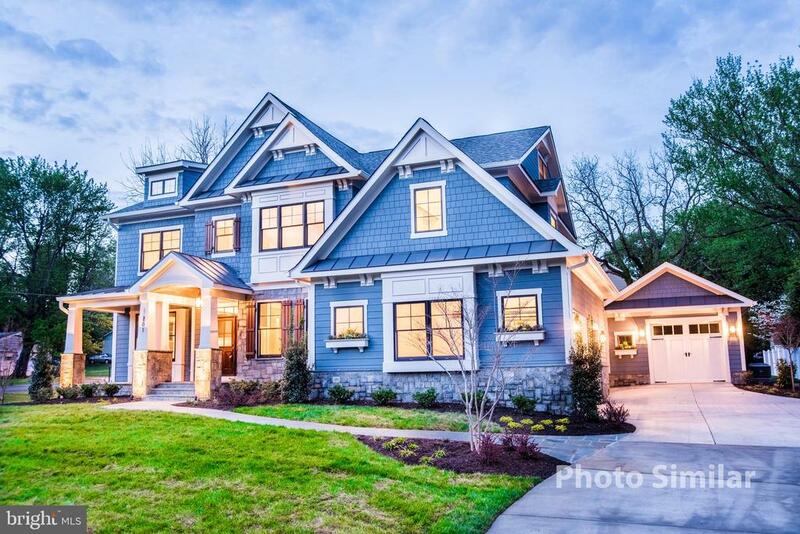 Anticipated completion September 2019"
"Set in premiere Hunting Crest estate community in Vienna, Virginia, this immaculate, upscale estate features a dramatic, yet livable interior with nearly 2 acres of land. 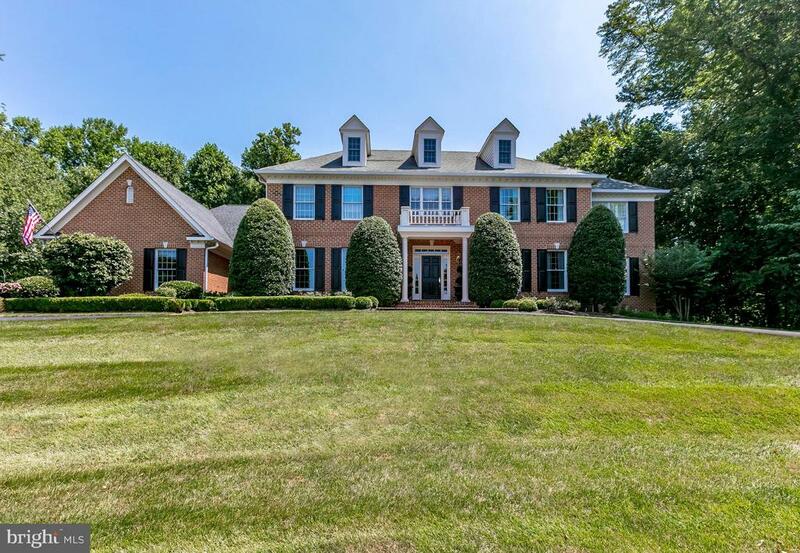 Home Features: 3-sided brick colonial, 5 bedrooms and 4.5 baths. Approximately 6,315 sq ft of living space on 3 levels. Designer paint and finishes. Two story foyer. Custom designed gourmet kitchen with large island, with storage and bar. Morning room with beautiful view of rear yard and access to patio area for grilling/entertaining. Family room, living room and dining room, 1st floor office and powder room. Master suite with 3-sided gas fireplace, his and hers closets and spa bath. Covered porch off master bedroom with sweeping views. Lower level (walk up wide stair way) offers 5th bedroom suite with walk-in closet and full bath, spacious recreation room, and gym (could be converted to 6th bedroom). There is unfinished space that can be customized to meet your client~s needs (i.e. theater). 3-car garage with plenty of room for additional 2 car garage. Beautifully landscaped lawn, wooded lot in rear with plenty of space for a pool and extensive additional outdoor living areas. Great opportunity to live in this desirable community at this price point!" "Spectacular Custom Home by Dunhill Builders in the Vienna Elementary school district on a beautiful 22,500 square foot lot. Designed with over 4,700 square feet of living space, a large side-loading 2 car garage, and 5 bedrooms with en-suite bathrooms. The grand foyer is welcoming and provides an abundance of natural light. The gourmet kitchen includes a large island, breakfast room, walk-in pantry, butler~s pantry, and KitchenAid Architect Series Appliances. Perfect for entertaining, formal dining, and family meals. The luxurious owner~s suite features an owner~s bath and walk in closet. Each of the four large bedrooms feature their own private bathroom. A main-floor mudroom with a closet and built-in cabinets keeps the family organized. The lower level includes a bedroom suite with walk in closet as well as an exercise room and huge recreation room.OPTION - BUILD TO SUIT your new custom home with Dunhill Builders. Choose from a portfolio of spectacular plans or work with us to create a new design. Spacious 22,500 square foot lot located in a highly sought-after Vienna neighborhood. Lot can accommodate homes as large as 7,000 square feet. Located minutes from downtown Vienna, Community Center, Tysons and Metro. Vienna Elementary/Thoreau Middle/Madison High School Pyramid." "HUGE PRICE REDUCTION! Serenity Woods is a Modern Single Family Home featuring 6 Bedrooms, with a dedicated Full Bath for each Bedroom and 1 Half Bath on the main floor. 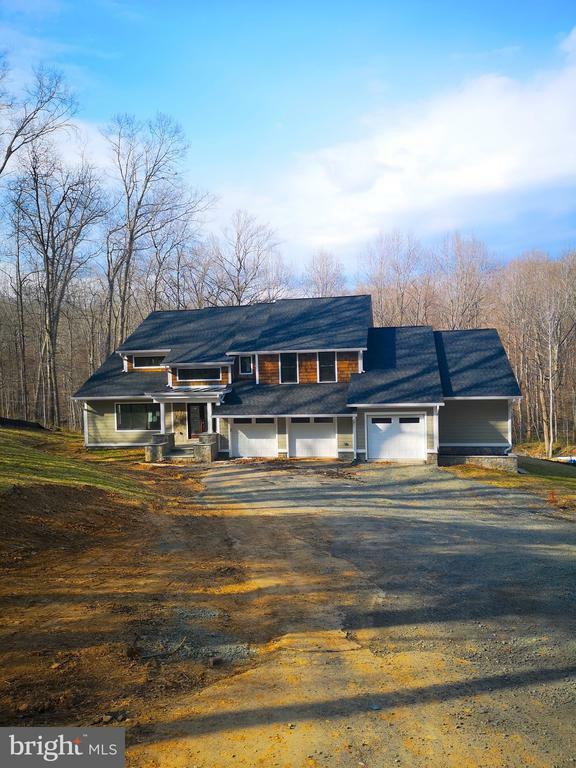 This beautiful and spacious home is being built on a wooded lot .99 Acres. Serenity Woods has a large open kitchen with tall clean cabinets, a kitchen island, Eurostonecraft Countertops, Thermador Appliances, hardwood flooring throughout and an attached 3 Car Garage. 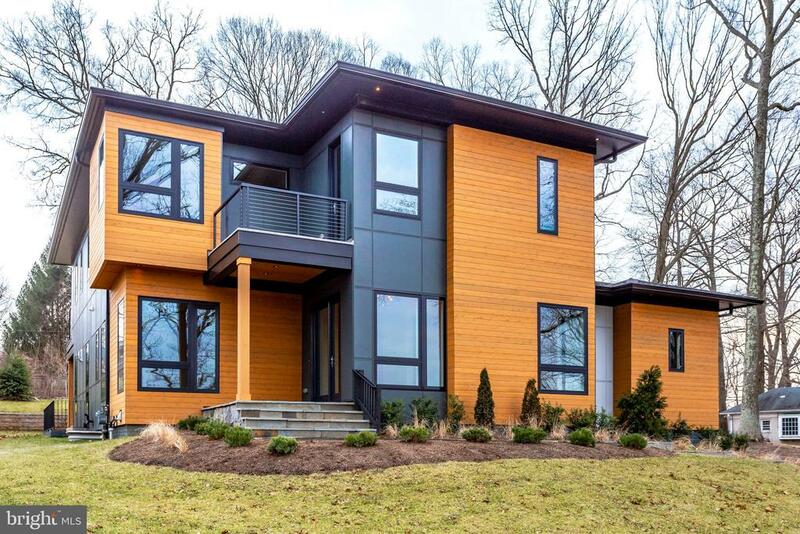 With a plenitude of custom Anderson windows, unobstructed by grilles, this home will provide abundant natural light. The luxury Owner~s Suite is located on the second floor and has a dedicated balcony and his/hers walk-in closets. The Owner~s Bath boasts dual vanities, an oversized shower and a soaking tub. There are also three additional bedrooms upstairs. The home has a fully finished basement with a Recreation room and a Media Room." "THIS IS THE WOW factor.! !...Welcome to luxury living with all the amenities in this gorgeous Craftsman style home with approximately 7,000 sq ft. on three levels. As you enter you will be delighted by the bright and sunny entrance foyer, the open and spacious floor plan enhanced by a two story ceiling. The Windows are dressed with Plantation shutters, Crown molding highlight all the rooms plus beautifully finished hardwood floors. The main level includes a formal LR, embassy size dining room with chair rail, a family room with floor to ceiling stone Gas fireplace and trey ceiling with surrounding lights, a beautifully embellished cherry finished library/office with custom built-ins, shelves and custom cabinets. The fully equipped gourmet Chef's kitchen is highlighted by a spectacular 7'X11' Island and Stainless steel appliances, Viking ovens and 5 Burner gas cooktop, Subzero refrigerator, Bosch and Miele dishwashers and Captain refrigerator for your favorite drinks. Lots of custom cabinets, recessed lighting. farmhouse sink and the huge oversized pantry is a delightful surprise. The dining area in the kitchen has French doors leading to the gorgeous sunroom with built-in stone surround gas grill and counter top, trek flooring, TV, ceiling fan, and double doors leading to deck and patio. Just perfect for entertaining especially those summer B-B-Q's. The upper level has a magnificent Master Bedroom with two walk-in closets with built-ins, bar and mini fridge. The Spa Master Bath includes soaking tub for relaxation, floor to ceiling shower, his and hers vanities and a private water closet. Upper level also includes Jack and Jill bedrooms with walk-in closets and a shared bathroom, and a Guest Bedroom with a walk-in closet and bath. There is a Cedar closet, laundry room with washer, dryer, sink and cabinet, plus a rear staircase to the main level. The newly carpeted lower level has a fabulous recreation room with a stone Gas fireplace, a Wet bar, a Me"